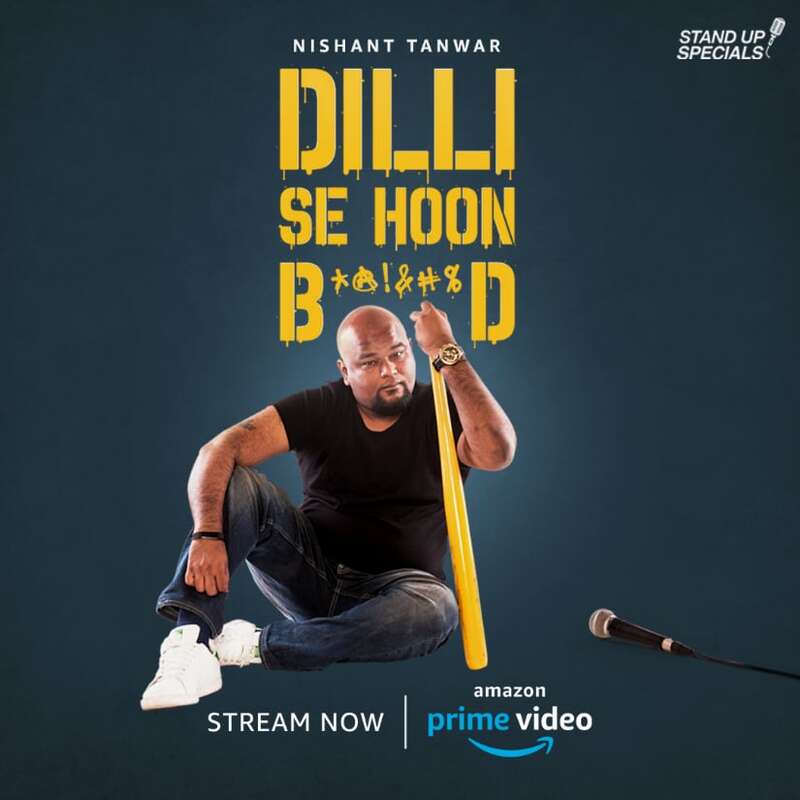 Nishant Tanwar's Amazon Prime Video India stand-up special is aptly titled Dilli Se Hoon B******d. The show, almost an hour long in length, is an ode to everything that is supposedly inalienable from Delhi's modern day pop-cultural stereotypes. Playful unruliness, unabashed stubbornness, and the pride and arrogance one finds within themselves because they are from Delhi, forms the essence of this comedy special. As a comedian, Nishant has found his niche. Jokes about Delhi, its people and its overall perception throughout the country can always be used as a fodder for comedy, and Dilli Se Hoon B******d plays on this formula fairly well. The set performed by Nishant for Amazon Prime Video India is like the comic version of the lyrical themes of a Yo Yo Honey Singh song; there are long bits about alcohol consumption, dodging the police while drunk, sticking up for your disastrously drunk friend and discussions about falling in naive, teenage love. Nishant successfully taps into the demographic of the urban-desis — those who live in the big cities but are still as third-tier as possible. You can say that Nishant, in a way, is like a less popular version of Zakir Khan. Like Zakir Khan's catchphrase Sakht Launda (which went viral this year, thanks to All India Bakchod), Nishant defines the transformation of a boy who has fallen in love as 'stud to bawla'. Romanticising love that inevitably unravels is something young men easily connect with and Nishant delivers an impressively timed bit around the subject. Nishant plays around with topics that many viewers find a common ground with, like being raised in a middle class family, or having a friend who is peculiarly proud of being a stoner. Nishant manages to squeeze in some genuinely funny moments, like his somewhat reasonable rant against humans having to learn swimming, and the time he visited London for a show. Scatological humor finds its way into the set when Nishant talks about London and the difficult times he faced in a strange, faraway land. Nishant, like Zakir, possesses a boyish, middle-class charm that further adds to his stand-up material. Regular people telling regular jokes about regular things will always attract huge audience, even if they are not stand-up comedy fans. Dilli Se Hoon B******d is an easy, one-time watch. There are moments you can appreciate as different and well-thought-out; like the part where Nishant tells us about the mishap involving his father and a VCR player or when he outlines the troubles of having a girlfriend during the time of landlines. Nishant is not hesitant of self-depreciating humor, and has found a rather gripping way of telling stories. It is his skill of narrating a story that holds the viewers' attention. There is willful admission of ignorance and celebration of one's own foolery which shows Nishant does not take himself too seriously, something we can really emulate in today's scenario.